"Full of informative history on urban housing policy, plus useful political advice from a longtime foe of landlords and developers in the much-contested and increasingly unaffordable terrain of San Francisco. 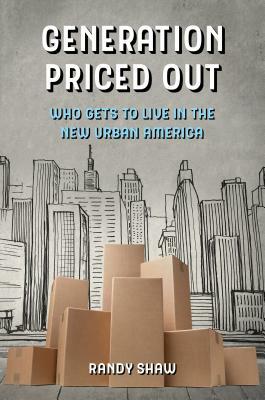 Generation Priced Out: Who Gets to Live in The New Urban America also provides detailed community organizing case studies that show how we can keep urban neighborhoods from becoming further devoid of racial, class, and ethnic diversity due to market-driven gentrification. Shaw’s marching orders are simple and sensible. . . . As tenant struggles become a bigger focus of activist recruitment and training throughout the country, Shaw’s book will be in much demand as an essential organizing guide for people, of all generations, 'priced out' of affordable housing."